It seems as though natural disasters are occurring more often these days meaning that emergency preparedness is gnawing at the edge of our collective consciousness; it reinforces the need for all of us to be prepared to be self-sufficient in a time of crisis – especially in the magnitude of disasters like the world has seen in the past few years. We also face the omnipresent threat of terrorist attacks; each of us may be called upon to help a fellow traveler, possibly in the mist of our daily commute to work or while shopping at our local market. Now is the time to take stock of your personal situation. Are you prepared? Preparedness goes far beyond having a flashlight, water and a battery-powered radio. 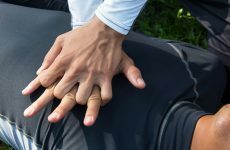 Having training in CPR and first aid is critical, as you are likely to be the emergency responder for your family or in your workplace or neighbourhood when Emergency Medical Services are delayed or unavailable. Recent world events, like the US & Philippine hurricanes, clearly demonstrate how disasters of such magnitude can quickly overwhelm the Emergency Services network, leaving you as the first link in the chain of survival. You should be prepared to be self-sufficient for at least three to five days. This includes food and water as well as having the skills necessary to manage medical emergencies. 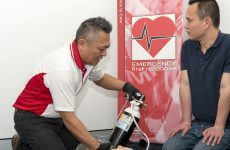 You can get CPR, AED and first aid training in your neighbourhood from Emergency First Response. Our training approach to training builds your confidence to provide care when there is a medical emergency – and confidence is everything when a true emergency is at hand. 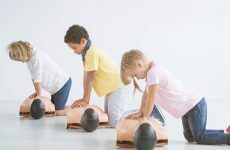 We do this by teaching CPR and first aid skills in a non-stressful learning environment and providing more hands-on skill practice time. General academic information is covered using our independent study materials. This allows the instructor to focus class time on skill development rather than lecture. More practice time means better skill retention, which gives you the confidence to respond in the event of a medical emergency. Courses are offered worldwide through our network of more than 31,000 Instructors and Instructor Trainers. Now is the time to get trained. As the terrible reality of disasters makes us all aware, we are vulnerable, but we are not helpless. Click here to find courses near you.